Erase aka Daniel Troberg has been producing and performing all kinds of electronic music since the early 90s under different pseudonyms. Sound Designer, Producer, DJ and Music Gear Expert from the Aaland Islands between Sweden and Finland now living in Gothenburg and working at ELEKTRON MUSIC MACHINES MAV AB, known for great gear like the Machinedrum, Sidstation, Monomachine and the upcoming Octatrack (maybe that one gets a field test this year, who knows). When in the studio he is cooking up the strangest sounds from a vast array of some incredibly hard to find hardware synthesizers, drummachines and effects. A broad range of influences but always nodding to the original creators of the groove and sticking to what matters most, rhythm and sound. 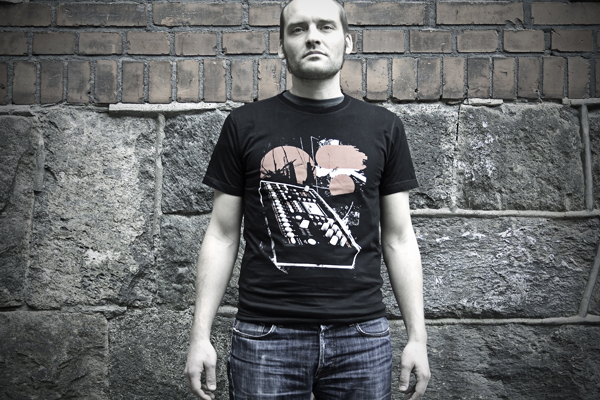 Check out his set from Krautok 2009 and the video of him using his weapon of choice Octatrack together with the Korg Monotribe. This entry was posted in Krautok 2009: Artists, Krautok 2010: Artists, Krautok 2011: ADF, LIVE ACTS and tagged daniel troberg, Elektron, Elektron Machinedrum, Elektron Monomachine, Erase, ipad, Krautok 2009, Krautok 2010, Krautok 2011, Octatrack, Sound Squares. Bookmark the permalink.